I believe it has been difficult for me to give my testimony because of the impact that Jesus has made, not only on my life, but my entire family’s life, through Mission U-Too. I see things much different than just a single encounter with one person or one moment. 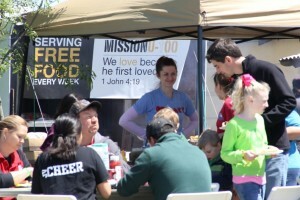 I have been honored to serve at Bastrop South, Bastrop North, and Round Rock location’s. I have served with disaster relief efforts in both West, Texas and Moore, Oklahoma. I also assist Mission U-Too in some of the many administrative operations that take place. Therefore, I have seen first hand how Mission U-Too works with integrity, covers every decision in prayer, and does not waiver from the word of God. I could end my words with this being a testimony. I am one of Mission U-Too’s biggest advocates. I love what and who it stands for, Jesus Christ! In Mark 2:17, Jesus said to them, “It is not the healthy who need a doctor, but the sick. I have not come to call the righteous, but sinners.” I never thought about this scripture much, until serving alongside with Mission U-Too. Another verse that come to me is “Whoever wants to be my disciple must deny themselves and take up their cross daily and follow me” Luke 9:23. These two scriptures are really talking about me and my life currently. I found out that I am the sick and the sinner! I need Jesus’s healing and I need to take up my cross daily to serve Him. 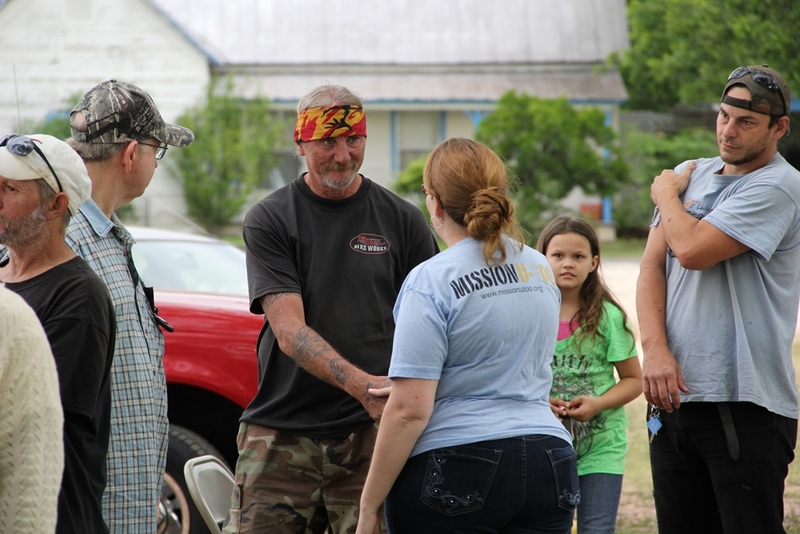 When I moved to Bastrop in June 2012, I saw the need for a “Mission U-too”; unfortunately, it was for my own selfish gain. I wanted to fix and help people in my own power. What I learned, is that I am a tool and witness, to be used for the gospel of Jesus Christ. Jesus is the only one that can fix and heal people, but ultimately their Savior! That means I have to take up my cross daily. You might ask, “What is your cross?” I define this as my pride, arrogance, selfishness, judgmental attitudes and the list goes on. 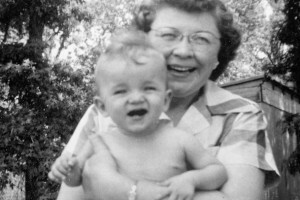 I was asked in November 2004 if I would sell everything for the ministry of the Gospel. My answer at that time was I do not have enough faith; therefore, Lord give me the faith to sacrifice everything. In September 2013, my family placed our house and everything that goes with it for sale for the ministry of Jesus Christ. At this point, nothing has sold, but I know in my heart that whether it sells or not Jesus has me in the palm of his hands. How can I not sacrifice everything for someone who loved me that much? How cannot I not sacrifice everything for Him when He is the only one that will never leave me nor forsake me? This world has nothing in it that brings me true and pure unconditional love as the Love of Jesus Christ! 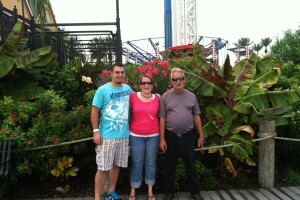 Christine Farquhar started serving with Mission U-Too in 2012 at our Bastrop South site. 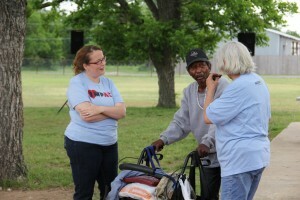 She quickly connected with the ministry because of her heart for the homeless. Not only does she serve at our different sites and disaster relief through out the country but also with administrative duties for the organization. Send Christine a note at christine.farquhar@feedtheneed.org. 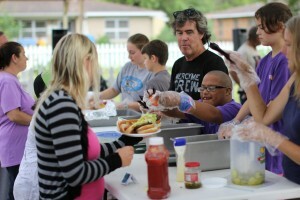 Feed the Need Missions https://feedtheneed.org/wp-content/uploads/2017/09/Feed-the-Need-logo-MAIN.png Feed the Need Missions2013-10-21 17:49:152016-04-14 15:06:10Sacrificing or Not? 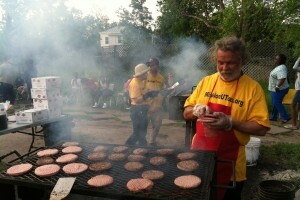 As a Mission U-Too volunteer I find myself trying to make everyone around me happy. My heart breaks for those who are hurting. I myself, have dealt with a lot of hurt and pain, and currently I am still going through a tough time. I have a beautiful friend that God has put in my life and her name is Viola. In a world where most of us get beat up to one degree or another, many people come out of these beatings with a problem in being able to trust anyone else – ever again! Our neighborhoods are no longer as safe as they used to be. Bizarre, random, and senseless type crimes seem to be on the increase with all of the shootings that have occurred in the world; at our high schools, and now in our churches and in the courthouses themselves with the latest round of senseless tragedies that have just occurred. All of us, to one degree or another, have been wronged in some way throughout the course of our lives and Mission U-Too encounters people that have gone through these tragedy’s. I find myself not worrying about myself and problems when I’m serving, but really deep down inside I’ve never gotten over the anger and hurt from so many. Viola has given me a different perspective on life and that goes along with the bible verse Proverbs 3:5-6 Trust in the Lord with all your heart and lean not on your own understanding; in all your ways submit to him, and he will make your paths straight. As a result of the curse of Adam and Eve that is still in full operation on this earth, there is always going to be a certain amount of wrongs that we will all have to put up with – no exceptions! Nobody comes out of this life unscathed with all the people who have chosen with their own free wills to live this life on the dark side. However, for Christians, no matter how badly you have been beaten up in your past, the one thing that you cannot have affected is your ability to trust in your Lord and Savior Jesus Christ and our heavenly Father. As a result of the beatings that some of God’s people have taken over the years, some of these people have literally lost their ability to even trust in God Himself. 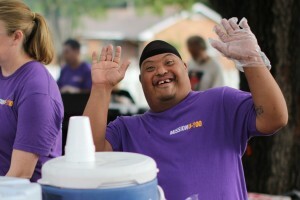 Mission U-Too provides many opportunities for people to get involved in our communities and neighborhoods. Allow your self to be a servant of Christ and the hands and feet of Jesus and serve your people. Be a listener to ones whose life is in shambles. Give a hug to those that are broken. Take a hot meal to a family in need and always put your trust in Christ first and He will lead you on the right path. You always here people say “don’t judge a book by the cover.” When I was younger I never understood the meaning of it. Actually I never understood the meaning of it until I became a Christian. Giving my life over to God and knowing that He sent his one and only son to die on the cross for me and not just me, for all of us. I had a heart change for people, for myself, for the way I lived my life and for God. I made drastic changes in my life and am still making more changes. God never gives up on us. He wants us to grow and trust Him more. He wants us to confess all of our sins even though they are forgiven. God knew we could never be perfect therefore He is our ultimate judge, not us. We are to not judge others by the cover. The cover of every person is not the truth of what is going on inside their heart. My God made all of us fearfully and wonderfully made despite our looks and the things we wear. He made us all different. He even created us to look different. 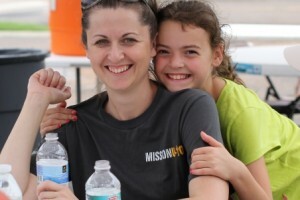 Mission U-Too brings many people from all walks of life with or without a relationship with Christ. All of them are different in their own unique way. 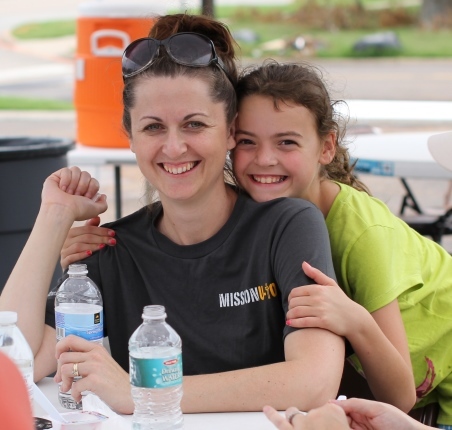 For as long as I’ve been serving with Mission U-Too (2 1/2 years), I have had the opportunity to meet different people and build relationships. Because of the turning point in my life and the desire to be a servant, two of those I serve are young men who have Downs Syndrome. These boys are brothers and 10 years apart in age. Even though their communication is not clear, and they look different, they are still children of God. They are made fearfully and wonderfully just like you and me. Psalms 139:14 says “I praise you because I am fearfully and wonderfully made; your works are wonderful, I know that full well.” I know full well that my two friends have a true heart for God, and they don’t look at any of us differently than them. When Jaquim and Jonathon came to Mission U-T00 2 years ago, they would patiently stand in line waiting to be served. They would high five everyone, and call them all friends. Everyone is their friend, even God. I love watching their face light up when you ask “how is God treating you?” Their response is “Good all the time.” Wouldn’t you love to walk through life knowing that God is good all the time? These boys can’t read or write well, and most of the time you can’t understand them when they talk, but when they are passionate about Christ and what He’s doing in their life, Christ allows their words to be heard. I am so thankful for them and the lessons they teach me every Sunday and Monday and now for the past three weeks they are attending our church and going to Youth. They understand that level of the bible. They understand what praise and worship is and they love singing, no matter whose looking at them. They give hugs to everyone, even if they don’t know them. 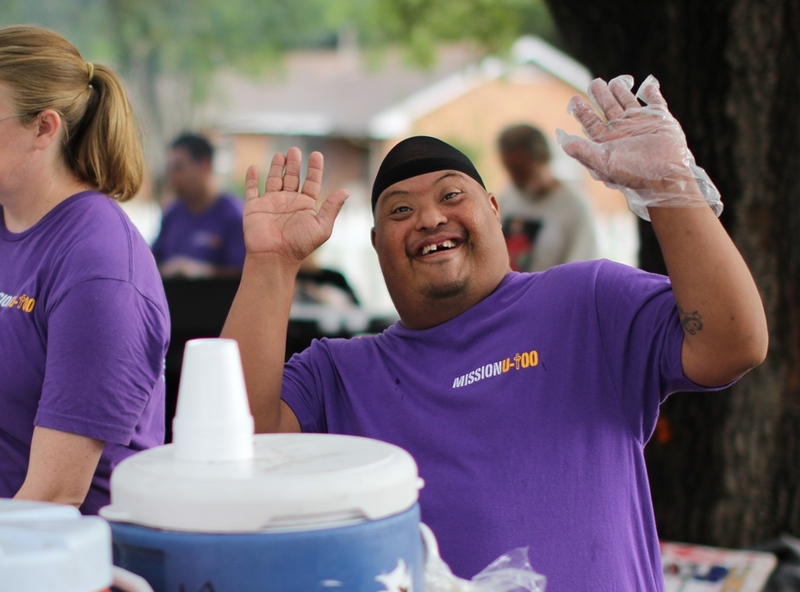 They are also serving Sunday’s with us at Mission U-Too in the food line strategically making everyone’s burger with perfection, love and a smile. 1 Peter 3:3-4 says “your beauty should not come from outward adornment such as braided hair and the wearing of gold jewelry and fine clothes. instead it should be, that of your innerself, the unfading beauty of gentle and quiet spirit which is of great worth in God’s sight.” Jonathon and Jaquim are good examples of this verse. Like God, they look at the heart and not what your wearing. They know they are fearfully and wonderfully made and never do they worry about what others think. My prayer, is to all the readers of this blog that they know how much Jesus loves you no matter your sins or your outer appearance, what matters is your heart and your relationship with Christ. Just like my two friends, you also are fearfully and wonderfully made, and don’t allow the world tell you different. Rest assure our God is faithful in His word! The Lord has blessed me with my Mission U-Too family and I pray that wherever you live you GO and find a place in your community that you can share the Good News just like Jonathon and Jaquim, with their smile, high fives and a loving heart. I am excited to tell you about our new Bastrop location. 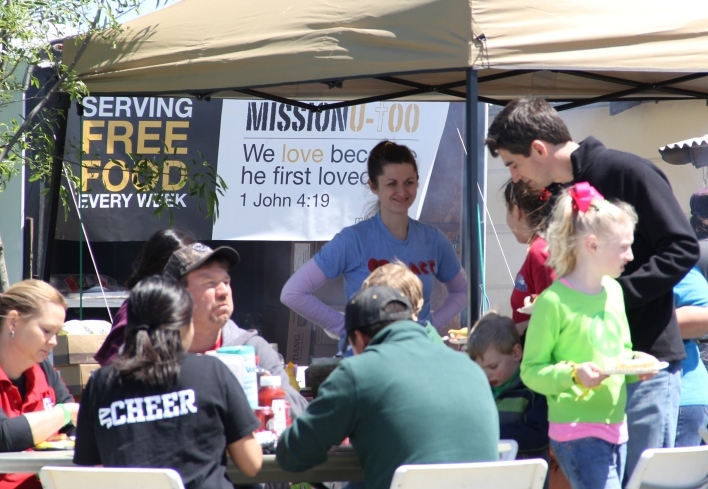 This makes seven locations for Mission U-Too as we continue to grow and the vision continues to catch; feeding people physically and spiritually. The idea for the second location started back last summer after we moved the Bastrop location. When we moved we lost some of the folks that use to come every week. We had an opportunity several months later to serve over by the Boys and Girls Club which is just North of downtown and we saw a lot of familiar faces. As Rebecca and I were out there serving that night, we started talking about the need for another location in that area. We began to talk and pray about it and I started telling some people within Bastrop to start praying for the second location. It’s probably been about 6 months or so that we have been praying and talking about it. Now to see it actually starting to happen and how God is lining everything up is exciting. 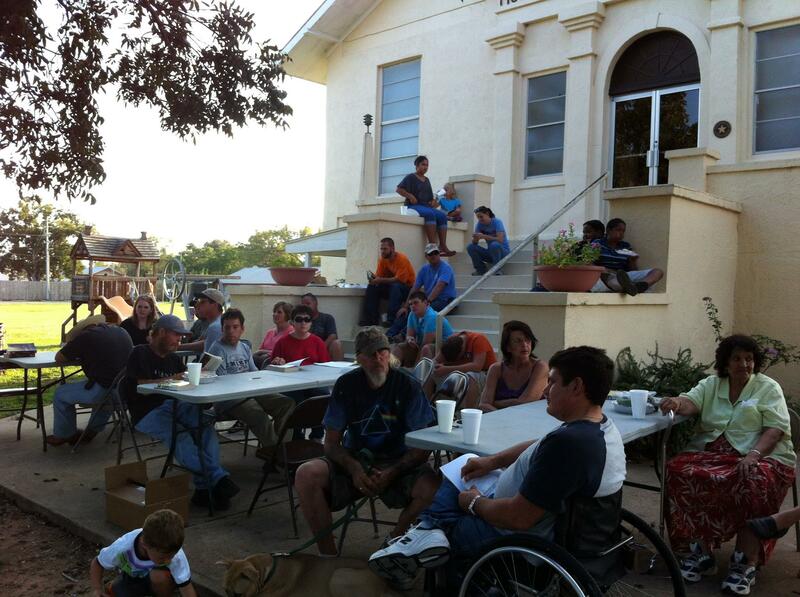 What’s really cool is as we continue to mature at Mission U-Too Bastrop (the first location), and grow spiritually; we have been able to really reach out to the homeless folks in the community along with the church we partnered with. 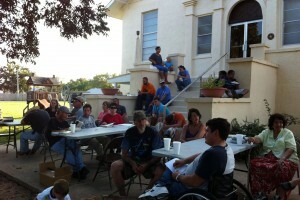 It’s really awesome to see how God has brought us together to continue to reach out to the Bastrop community. While there’s still a need on the North side of town we will continue to serve Monday at our South location and now Sunday at our North location. I’m excited to get over to the North side to start serving every week just to see how God is going to move in these people’s lives. There are so many folks over there that are lost, hurting, kids without parents, women that have been abandoned by their husbands and are going through a rough time, drug problems, addiction, alcoholics, and the opportunity to go in and serve every week and continue to build relationships with these folks. It was powerful when we started praying about it and I didn’t know how we were going to start the second location, until God answered our prayers. About 6 weeks ago I sat down for a meeting with somebody at a coffee shop and a gentleman walked up to me who I have never met before and was like “hey you’re Jonah.” I said “yeah” He said “I’m Tim and I have heard a lot about you” he sat down with me and we started talking a little bit. He began to tell me how he wanted to get more involved in helping with families that are struggling and to teach them life skills. As we started talking more I just felt led to share with him about starting a second location over in the North end of Bastrop by the Boys and Girls Club and how great the need was. As I started telling him, he just melted and I asked him what was going on. 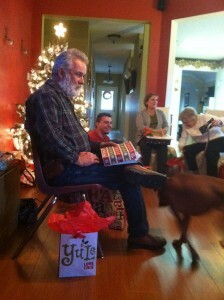 I could see the excitement that was building. He began to tell me that him and his wife a few years prior had moved a couple of blocks away from the Boys and Girls Club and felt led to penetrate into that neighborhood. Right then I knew this was the person that we have been praying for. We started talking more and when he left the shop he immediately went over to his church and gained their support in helping support Mission U-Too with bringing in some volunteers and donations. So come join us this Sunday March 17th as we start serving ever Sunday at 4:30pm at the new location. This will open up all kinds of opportunities to engage the kids and the parents, with bible studies, Sunday evening service, and activity for the community. We can’t wait to see what God does as we’re able to start penetrating into this neighborhood with Jesus that is so unchurched, unreached and hurting. I’m excited for this new adventure and I look forward to seeing some of you guys get involved. I love you and hope you have a blessed rest of the week. Jonah Beyer, Feed the Need President https://feedtheneed.org/wp-content/uploads/2017/09/Feed-the-Need-logo-MAIN.png Jonah Beyer, Feed the Need President2013-03-12 13:41:352013-03-12 13:41:35Second location in Bastrop! I haven’t been able to put into words until now how amazing Monday night was. GOD is so good! For whatever reason(God), I forgot to pick up enough burgers for the evenings meal. So just after we started I had to run and pick more up. I was so impatient, in a hurry to get back. Probably frustrated at the people in front of me, moving slower than I would have liked. But then I saw her, on the side of the road, in tears. I won’t lie, I thought about just driving past her to get back. But something, that still small voice, insisted I stop. Her name was Sandy and though I spoke to her for just a brief moment in time, she changed my perspective. She was sick, in pain and stranded in our little town. On her way home to Kentucky, her car had broken down and she’d been walking for a couple of days. She had been standing in front of Walmart for 4 hours and I was the first to stop. No one else would even look at her. She needed food and help, but mostly she needed to know that someone cared and that God was listening to her cries for help. Thanks to a sister in Christ, we were able to give her the help she needed while she waited for family to come get her. It’s left me in awe of God’s love for all of us and His amazing ability to see and speak to us in any situation. We just have to listen, to be obedient in even the smallest of things. God is glorious!